The Independent National Electoral Commission (INEC) Thursday instigated what a political observer described as ‘’harsh and rash conversations’’ about doubts over its neutrality in the forthcoming general elections with the appointment of President Muhammadu Buhari’s niece, Mrs. Amina Zakari, as the chairperson of the Presidential Election Collation Committee. 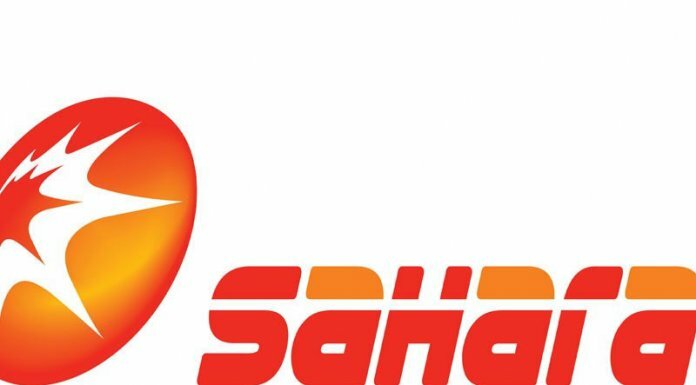 The main opposition party, the Peoples Democratic Party (PDP), and some other stakeholders immediately described Zakari’s appointment as an outright manipulation, challenging the president to excuse his niece if he is actually committed to free, fair and credible elections. The INEC Chairman, Prof. Mahmood Yakubu, who had consistently maintained that he was committed to credible elections, disclosed the appointment of Zakari while inaugurating two ad-hoc committees, as part of the commission’s determination to ensure seamless preparations for the general election. He said the commission decided to set up the committees to drive important component of the electoral process, adding that the first committee would be responsible for logistics, while the second committee would be responsible for collation of presidential election results. Yakubu noted that the commission was aware that the conduct of general election is the biggest and the most complex logistics operations that a nation could undertake. The chairman stressed that for the general elections, the electoral logistics committee would be responsible for coordinating logistics, as well as the clearance and transportation of electoral materials to various locations nationwide. “At the end of the elections, sensitive materials will be retrieved from the same locations. The same process will be repeated for each of the two phases of the 2019 general elections; namely the Presidential and National Assembly elections holding on 16th February, and Governorship, State Assembly and FCT Area council elections holding on the 2nd of March,” the INEC boss said. Yakubu said the committee includes relevant security agencies whose roles are clearly defined in section 29(3) of the electoral Act 2010 as amended. The composition of the electoral logistics committee include some national commissioners, AVM Hamed Muazu (rtd), Engr. Abubakar Lamuche, and Mallam Muhammed Haruna. Others include, the Central Bank of Nigeria, Nigerian Customs Service, Federal Airport Authority of Nigeria (FAAN), Nigeria Immigration Service, Federal Road Safety Corps, the Nigerian Police Force, Department of State Services, Nigerian Security and Civil Defence Corps, the Nigerian Army, Navy and Air Force, Director Electoral Operations and Logistics Department of INEC; Director Estate Works and Transport, INEC; Director Procurement, INEC; and Director Stores, INEC, as the Secretary of the committee. Yakubu added that the second ad-hoc committee which is entirely internal to the commission, which does not include external members, shall be responsible for the national collation centre where result of the presidential election will be announced. He explained, “It will serve as the secretariat for the collation of results and venue for briefing of international observers, as well as the media. It will also be responsible and accessible to all the agents of the 73 political parties fielding candidates for the presidential election. The chairman also noted that as was the case in 2015, the commission would use International Conference Centre, Abuja, for the collation of result of the presidential election, reassuring Nigerians that the commission was on course to deliver credible elections this year. He also revealed that the commission would meet with the Academic Staff Union of Universities (ASUU) on Friday by 4.00p.m, noting that the purpose of the meeting is to discuss the on-going strike by the union but only in relation to the election. Yakubu stressed, “We are concerned that the bulk of the critical election duty staff are drawn from our universities. We are determined to ensure that the processes are not affected by the union’s industrial action. ASUU remains a critical partner to the commission on delivering credible election. We look forward to the meeting and confident of a positive outcome. Meanwhile the major opposition party, PDP, said that Zakari’s appointment was part of what it called the machination by the presidency and INEC to subvert the will of the people and rig the February 16, presidential election. The Director of Media and Publicity, Mr. Kola Ologbondiyan, while addressing a press conference Thursday in Abuja, said that the appointment of Zakari, who had been openly accused in various quarters as being the link person between INEC and the presidency, constitutes a direct violence against the presidential election, insisting that the PDP would not, in any way, whatsoever, accept it. 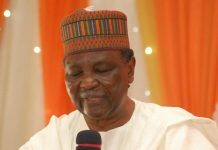 He said, “You will recall that we have been raising the flag on how the Buhari-led presidency, the All Progressives Congress (APC) and some individuals at the echelon of INEC have been seeking ways to compromise our electoral processes and open the way for the allocation of fictitious votes to President Muhammadu Buhari, having realized that he cannot win in a credible, free and fair poll. In appointing Zakari to head the presidential election collation centre, Ologbondiyan said Yakubu has confirmed that he has been compromised and that he has already succumbed to pressure by the presidency and APC to open the way for the self-succession of President Buhari. He emphasised that there is no way Zakari would not allocate votes to her blood relation, Buhari, whom Nigerians have indicated clearly that they are not ready to return to office as president. Ologbondiyan said, “This is the same Amina Zakari, who headed the ICT Department of INEC at the time that department was accused of manipulating the INEC voter register to accommodate fictitious, underage and alien voters, particularly, in remote areas where they plan to allocate and announce conjured votes for President Buhari and the APC. “It will interest Nigerians to note that this is the same Amina Zakari that was alleged to have played some roles in the 2018 governorship election in Osun State, where the electoral processes were flagrantly abused. With Zakari at the head of results collation, there is no way votes cast by Nigerians will count. The party also urged the United Nations and other global democratic institutions to take copious note of this noxious appointment by the INEC chairman, adding that if he wants a peaceful presidential election, he should, with the speed of light, reverse himself on this appointment. “In fact, the PPCO reiterates its position that for us to have a peaceful election, Mrs. Zakari should not be seen anywhere near any of the 2019 election processes, not to talk of being involved in the collation of presidential results”, he added. Also reacting, one of the spokespersons of the party’s presidential campaign council, Mr. Kassim Afegbua, said Zakari’s appointment would go to confirm that the 2019 election is programmed for rigging. He said, “I wouldn’t believe this; but if it turns out to be true, it will go to confirm our fears that the 2019 election is programmed for rigging. We have raised series of concerns over the unholy strategic roles that Amina Zakari had played in previous election and why we had accused INEC of working from answer to question. 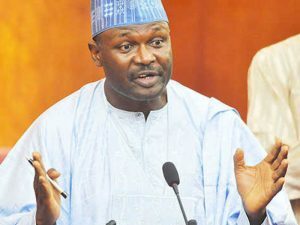 The Coalition of United Political Parties (CUPP), the Social Democratic Party (SDP) and ADP have condemned the proposed use of incident forms by INEC for the general elections, as indicated in the INEC’s revised guidelines to be released next week, which was exclusively reported by THISDAY Thursday. The commission’s National Commissioner and Chairman, Voter Education and Publicity, Mr. Festus Okoye, had confirmed to THISDAY on Wednesday that the revised guidelines was ready and would be unveiled for the consideration of the political parties next week. 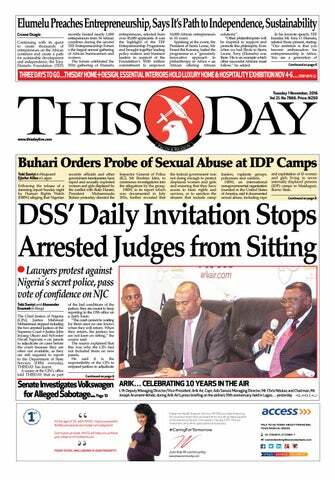 THISDAY had obtained a copy of the guidelines from a reliable source, which revealed that the rules, among others, retained the use of smart card reader and the controversial incidence form. The opposition parties, however, said they did not agree with INEC on the use of incidence form for the general elections. The national spokesperson of CUPP, Mr. Ikenga Ugochinyere, while speaking with THISDAY last night, said the decision by INEC to make such announcement, makes the process suspicious. Ugochinyere also raised the alarm that INEC Chairman had tampered with accreditation method to favour APC. He said, “The chairman is refusing demands by parties for retention of the 2015 accreditation method since the president refused to sign the Electoral Act Amendment Bill 2018 and wants retention of the 2015 election law. Also, Ologbondiyan noted that INEC’s plan to introduce incidence form in the forthcoming election would not be accepted by the PDP, explaining that the electoral body was trying to introduce incidence form by calling it another name. 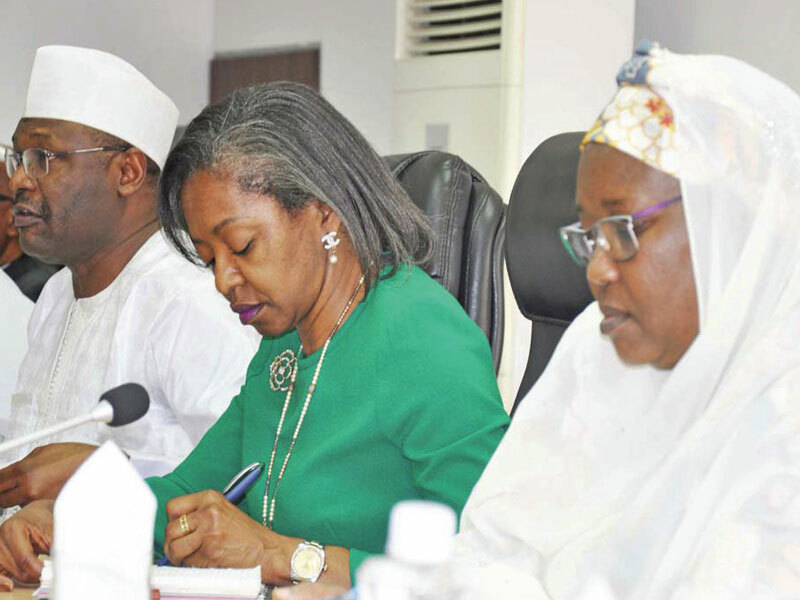 On its part, the Inter-Party Advisory Council (IPAC), said that with what the INEC told the political parties present at the Senate Electoral Committee’s Public Hearing on Vote Buying, the issue of incidence forms won’t be as it was before now. The Secretary, IPAC Media Committee, Mr. Akinloye Oyeniyi, said INEC chairman told everyone in the committee room that there won’t be incidence forms again, but a kind of biometric form with columns for thumb printing, names and photographs of registered voters whose accreditation could not be completed properly. 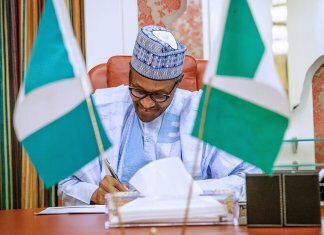 On its part, the Action Democratic Party’s (ADP) National Chairman/Presidential Candidate, Mr. Yabagi Sani, described the retention of incidence form in the new guideline as an ‘’unfortunate situation,’’ saying the development had confirmed the real reason why Buhari refused to sign the amended electoral bill into law. He advised Nigerians to rise up and condemn the move by INEC and Buhari, while demanding for free, fair and credible elections. Also reacting, the National Publicity of SDP, Mr. Alfa Mohammed, advised all opposition parties and Nigerians in general to resist the plot by the president and the APC to rig the elections, saying the plan to use incidence form is an attempt to rig the elections for APC. 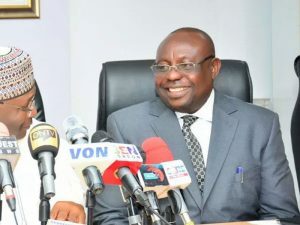 However, senior lawyers, Prof. Joash Amupitan and Charles Edosomwan agreed that the electoral umpire is empowered by the constitution to make regulations that would enhance its conduct of free, fair, credible elections, they, however, differ on the implications of INEC’s retention of the Smart Card Reader and the Incidence Form for the general elections. Amupitan said, “The president did not accent to the amendment of the Electoral Act, so as a result we have reverted back to the pre 2015 election situation. Amupitan, who noted that the regulations made by INEC through the electoral guidelines should suffice. He said the umpire would have to face a similar situation as that of 2015 where it had to abridged card reader inadequacies with manual accreditation. “So as it is now, it is going to be an admixture of both the electronically and manual accreditation. So the two would still have to go together that is why we are still talking of incidence form,” he added. On his part, Edosomwan commended INEC for the deployment of the technology, stressing that through the card reader the electoral umpire has been able to checkmate some malpractices associated with the conduct of elections in the country. “The card reader, as we have all seen has helped the elections a lot. It has helped in screening; it has reduced double voting because the data from the card reader would prevent you from voting twice. I must commend INEC for going ahead with it,’’ he said. Meanwhile, the All Progressives Congress (APC) Thursday said it would not oppose any legally backed instrument introduced by INEC to ensure that the forthcoming general election is peaceful, free and fair. 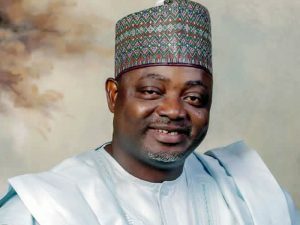 The National Publicity Secretary of APC, Mallam Lanre Isa-Onilu said the party will wait for INEC to issue approved guidelines for the elections before taking a position. 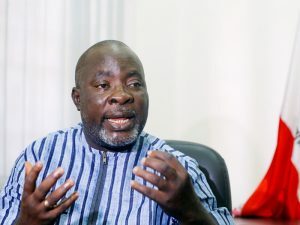 Onilu, who was asked by THISDAY Thursday to comment on the election guidelines, said the party will always support any measure aimed at improving the conduct of the elections as long as it has legal backing. He said since INEC had previously applied similar guidelines without any objection from the party, there may not be such objection this time around. According to him, “But as far as incidence form is concerned, INEC has been using it before, and we have not asked whether we like it or not; but we don’t want to jump the gun, if they come up with guidelines, then we look at them item by item.